Home » News & Events » 2019 Penny Wars! This Friday is the first day of Penny Wars! Penny Wars is an exciting time here at HCA as kids and parents raise money for missions – specifically this year we are raising the money for our friends in India – Mary Jha and her family and church. 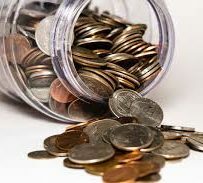 As a refresher, pennies count positively; silver coins such as quarters, nickels, and dimes, along with dollar bills, are called bombs and count as negative points. Currency can be exchanged for positive value at the HCA front office – see Kaitlyn Richter for exchange rate. Below is the egiving link for penny wars. It is another convenient way to give money and enables families outside the community to participate and give money to classes. Please put the class you wanted it to go to in the memo of the transaction. Use the e-giving link to make an online donation by selecting the “penny war donation” category.